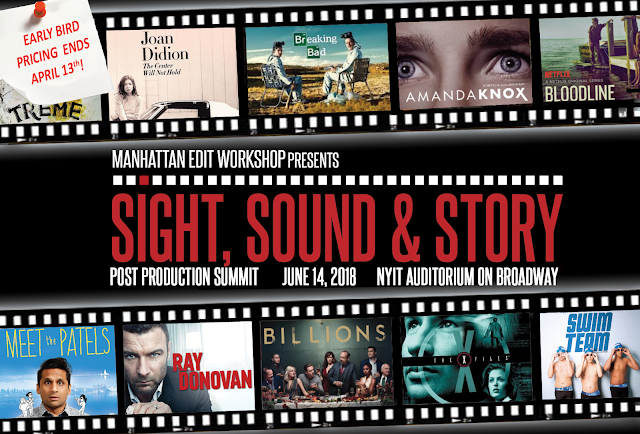 Manhattan Edit Workshop's Blog: "Sight, Sound & Story: Post Production Summit" Dates, Panelists Announced - Early Bird Tickets Now Available! "Sight, Sound & Story: Post Production Summit" Dates, Panelists Announced - Early Bird Tickets Now Available! Early Bird Tickets now on sale! Panelists announced - more details to follow! Click here to register or to find out more information.